CA, July 2018: The California Community Colleges (CCC) Technology Center has selected BlackBeltHelp to support its objective of receiving high quality centralized help desk services for CCC systemwide software applications. BlackBeltHelp will replace the existing help desk provider and provide help desk support for CCC students and staff using these applications for 17 hours of each day. As the current contract with the existing vendor expires in mid-September 2022, the CCC Technology Center issued a competitive RFP to secure a contract that provides a purchasing and pricing framework for help desk Services as needed to support certain CCC systemwide technology solutions. After several levels of scrutiny, the RFP evaluation committee selected BlackBeltHelp, over many different vendors, to support almost 80,000 interactions annually. The California Community Colleges is the largest system of higher education in the nation, with 2.1 million students attending 114 colleges. Our colleges provide students with the knowledge and background necessary to compete in today’s economy. With a wide range of educational offerings, the colleges provide workforce training, basic courses in English and math, certificate and degree programs and preparation for transfer to four-year institutions. Learn more about California Community Colleges System. 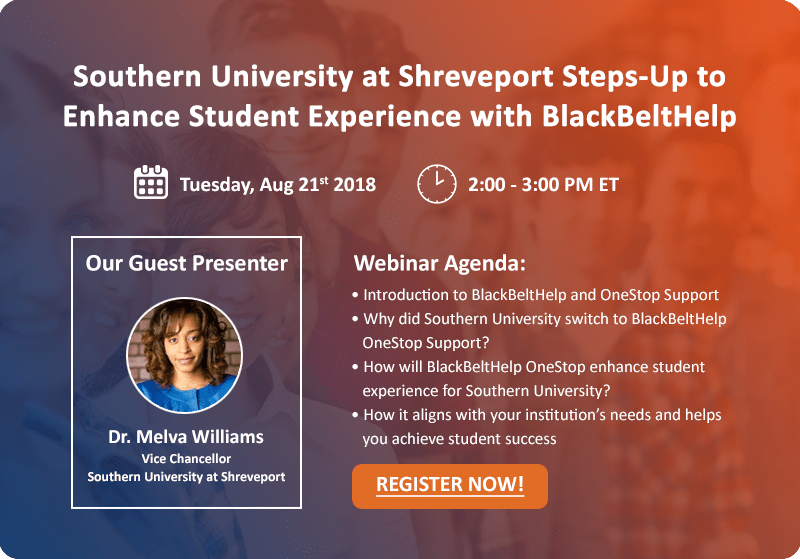 BlackBeltHelp is a leading provider of help desk products and services including IT, LMS, Admissions & Enrollments, Financial Aid, Advising, Facilities and Switchboard, supporting Higher Education for past 6 years. With over 200 clients globally, BlackBeltHelp provides wide range of Product and Services to improve help desk administration and end user experience.